The set-up for this is the exact same in terms of dimensions as regular jail-game. 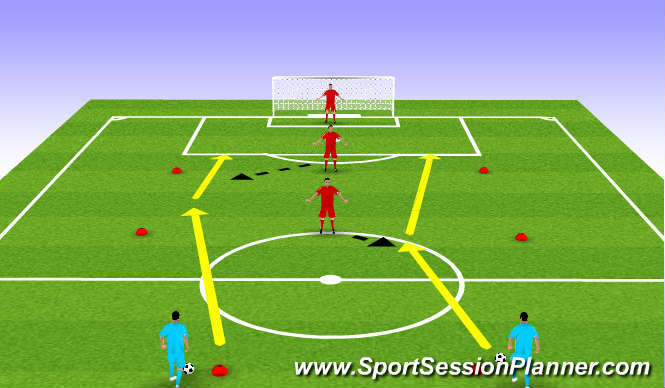 Two players set off on the dribble with a ball each and attempt to get past the defender into the next grid, if they beat both players they go on an try and score. If they are stopped. they "go to jail."